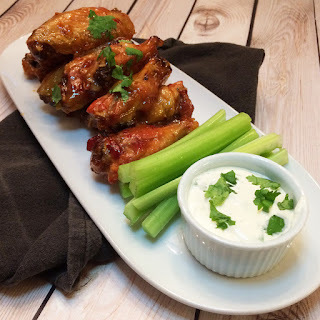 I love chicken wings, especially when they're crispy and all the fat has been rendered from the skin. That usually entails deep-frying in a restaurant, but at home it can be achieved by baking. If I didn't know the meat from Mr Minx's Emergency Chili came from a can, I would never have believed it. It was tender and juicy and cooked up in no time at all. 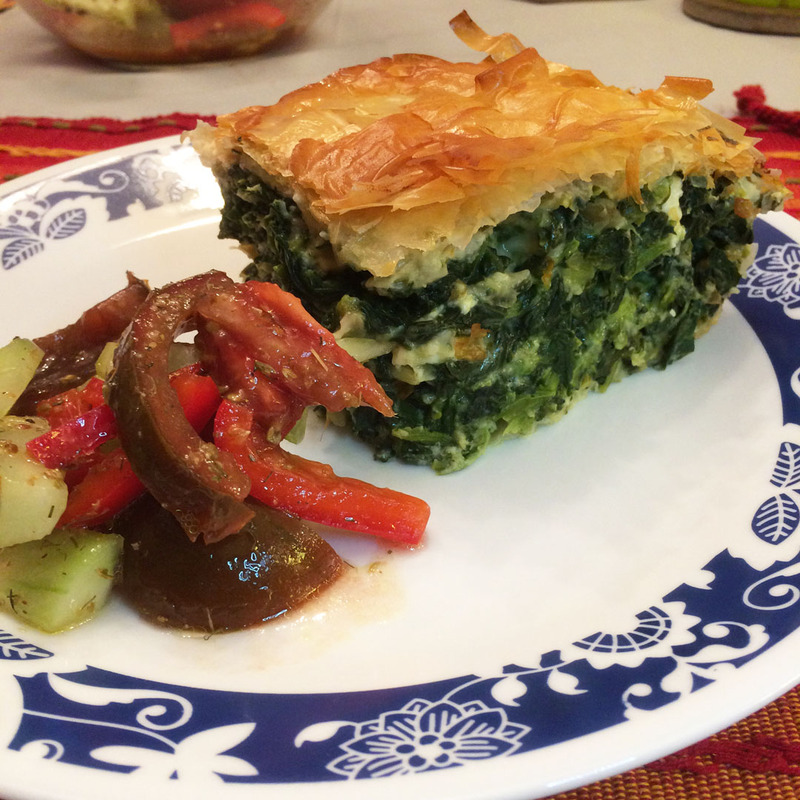 Homemade spinach pie is easy and as good as the restaurant version. 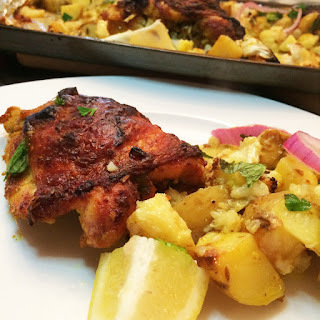 Smitten Kitchen's sheet pan tandoori chicken is amazeballs. Plus easy cleanup. 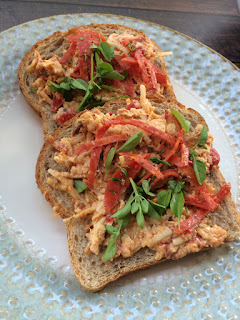 I think my pizza twist on pimento cheese was pretty darn clever. And of course it tasted really good, too. 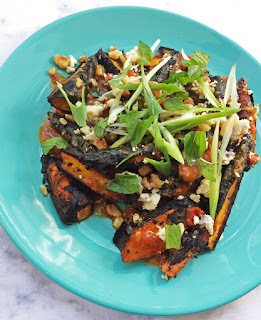 I'm still on a charred carrot kick, and think the vegetable is just lovely with sweet, spicy, and tangy flavors, as in this salad with harissa, honey, Dijon, and feta cheese. 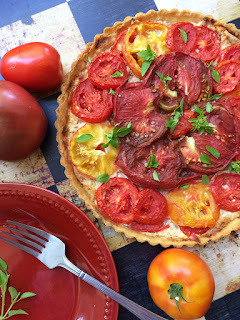 With the bounty of tomatoes we had on hand this summer, tomato pie seemed like the ideal way to use them up. 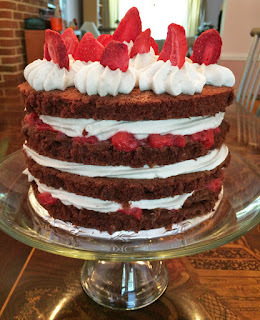 Though this chocolate strawberry "naked" cake was posted in September, it was actually served in August as my lovely husband's birthday cake. I haven't made a layer cake in a long long time, and the last one wasn't from scratch. This one was a bit of an effort, but definitely worth it. 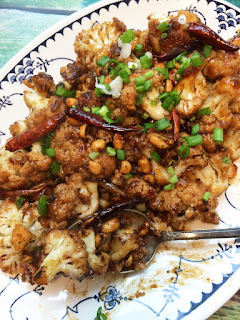 Another successful September offering was this kung pao cauliflower, adapted from a Bon Appetit recipe. 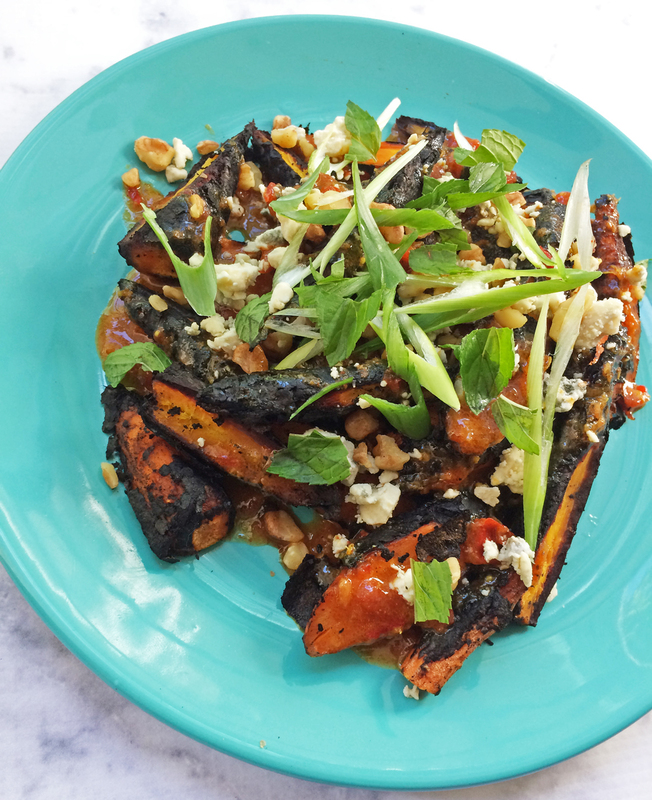 We're big fans of the sweet and nutty flavors of kung pao chicken, and this vegetarian version was pretty fantastic. 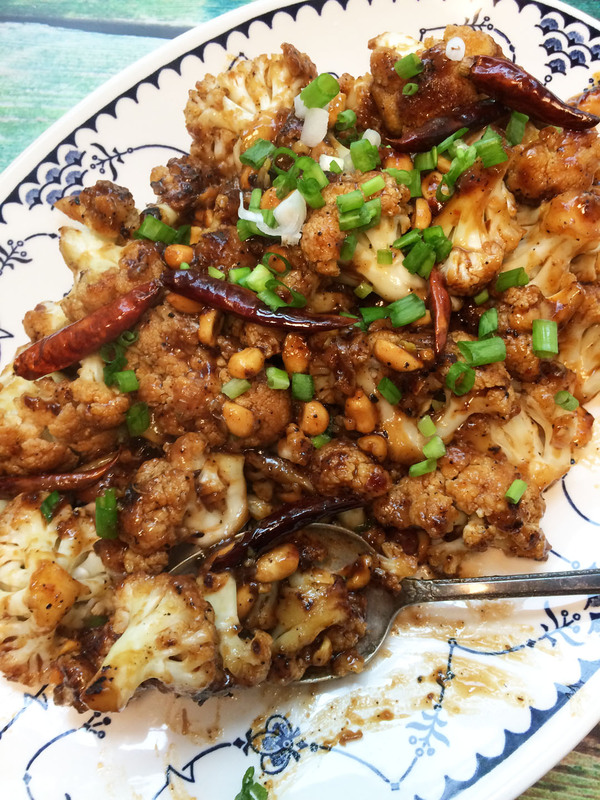 Who knew cauliflower was so versatile? We did the Whole 30 diet thing in October and with rice being one of the verboten food items, we had to be creative. Cauliflower "rice" topped with chicken sausage and homemade tomato sauce was one of my favorite dishes of the month. 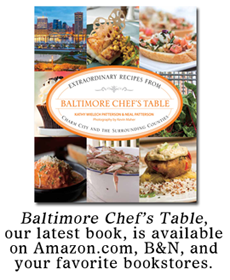 Forget turkey (blech!) - we had lasagna for Thanksgiving dinner. I want to do this every year now. Maybe I will. That's all for 2017. 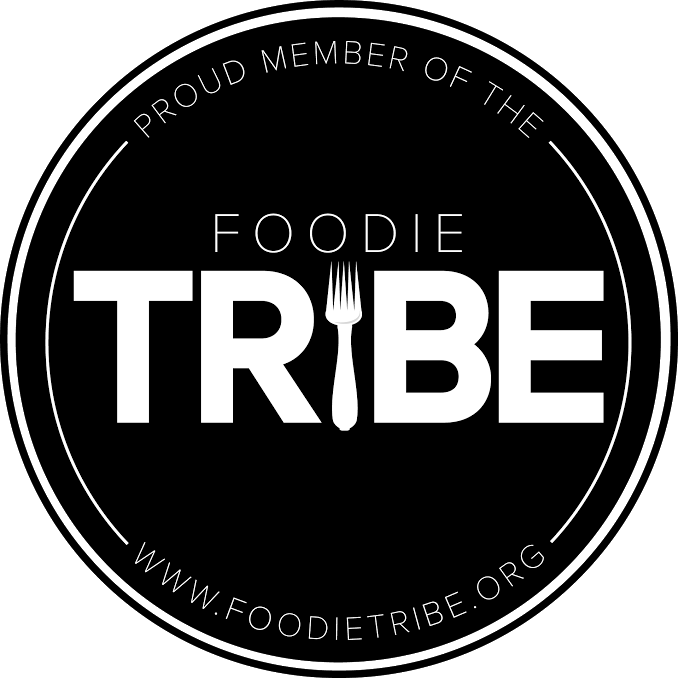 Looking forward to whipping up delicious things at home in 2018!